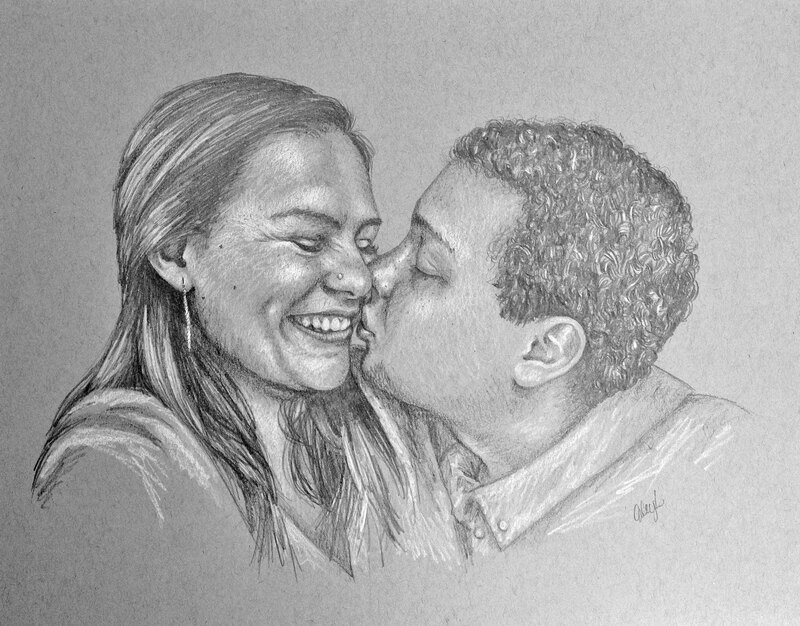 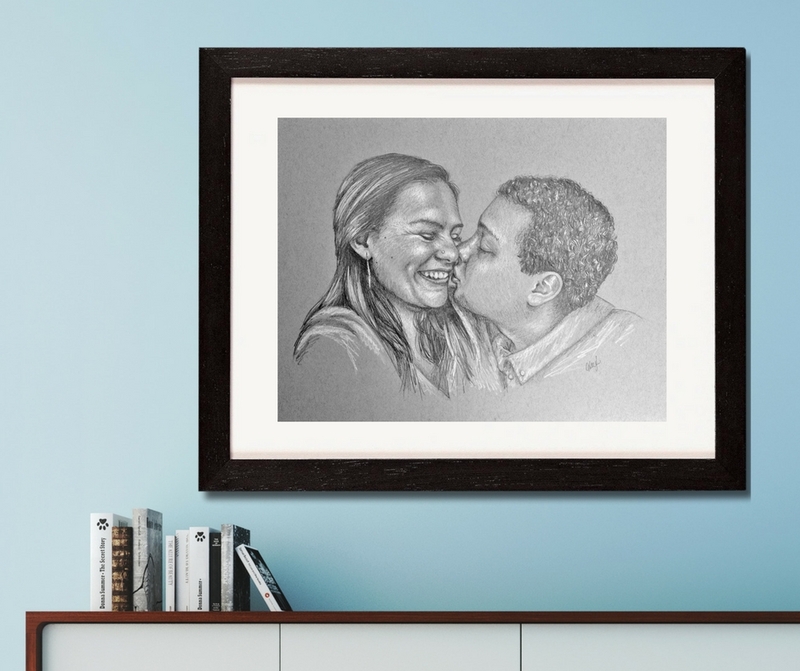 This classic pencil drawing is perfect for celebrating engagements or weddings, gifting portraits of children and grandchildren, or celebrating an anniversary. Almost any photograph can be turned into a unique and priceless work of art. 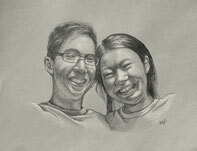 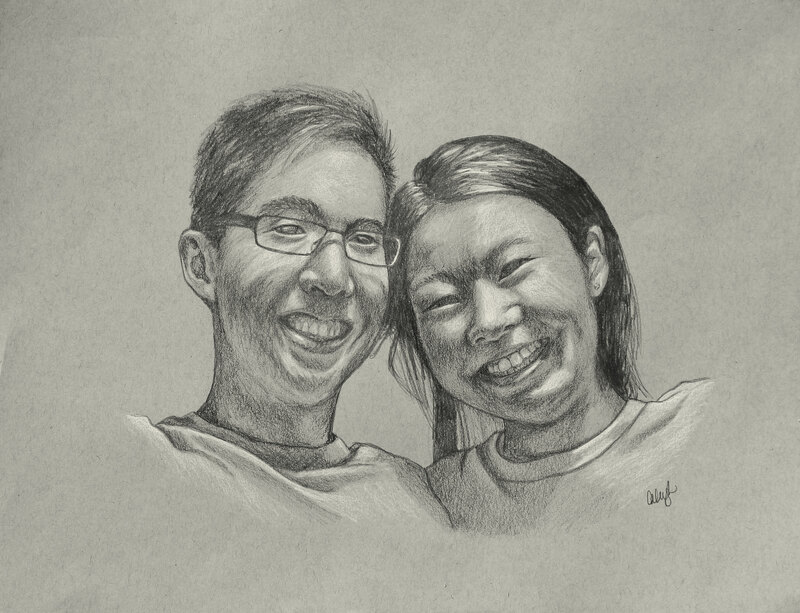 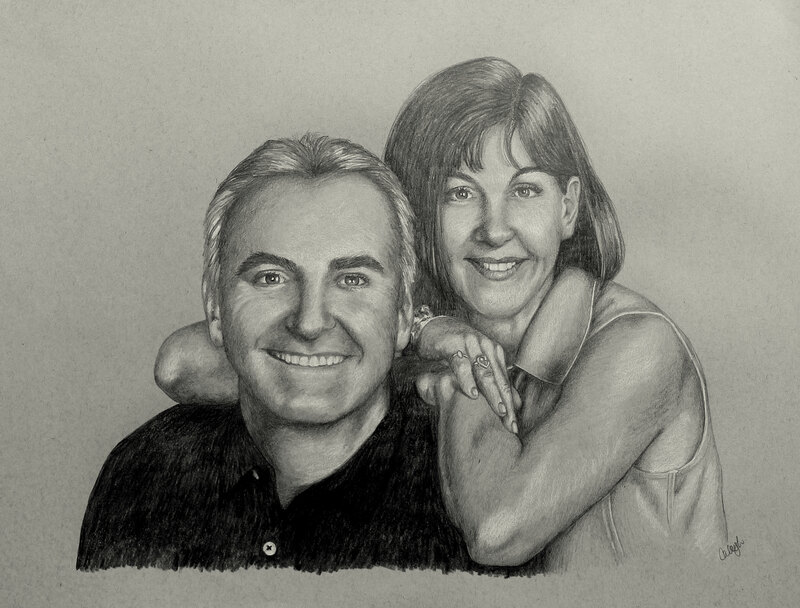 Each portrait is hand drawn with care on high quality acid-free toned archival paper using the finest graphite (pencil) and white conte and will arrive ready to frame. 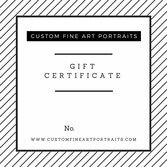 I pride myself on making each portrait as true to life and as endearing as the person or people in it, so you can be sure this precious keepsake will bring joy for many years to come. 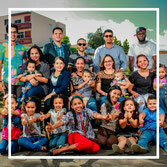 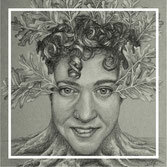 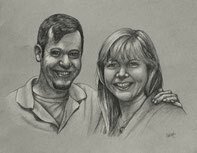 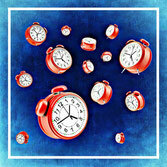 As a bonus,each portrait comes with a high resolution .jpeg image that I will email you upon completion. 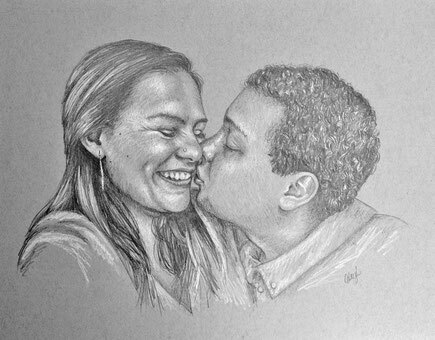 You are free to use this image for personal use including prints, Holiday or Greeting cards, or for sharing online. 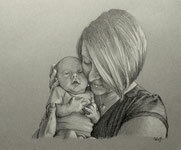 I would really appreciate it if you please credit me, Caleigh Bird, or link to www.customfineartportraits.com when sharing online. "Thank you so much for the beautiful portrait of us! 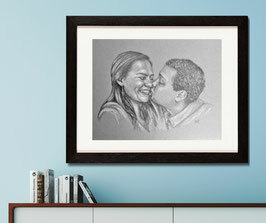 It is so amazing that you were able to capture us so perfectly!" - Kelly W.
Check out my helpful guide [here] all about choosing the best photo!